← Did Harvey et al. 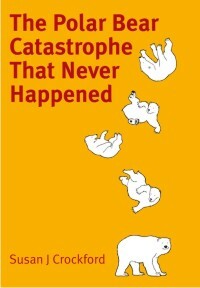 authors aim to help Google censor polar bear information? The sea ice this year (2018, above) around Svalbard is much more extensive than last year at this date (2017, below) or for 2013 (below that), conditions from which polar bears subsequently recovered: the number of bears counted in August 2015 around Svalbard were up 42% over the count done in 2004 (Aars et al. 2017). The Franz Josef Land islands are located in the eastern portion of the Barents Sea polar bear subpopulation region. They are managed by Russia, which included all of the islands in their Arctic National Park in 2016 (only some were included in 2009). Only Russian military personnel live there. In contrast, the islands of the Svalbard archipelago directly to the west and under Norwegian control, are one of the best-known areas of polar bear habitat in the eastern Arctic (Andersen and Aars 2016; Wiig 1998). It has one small town and several small communities on the west coast. 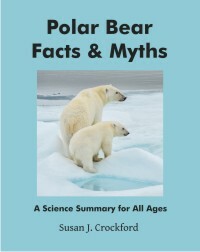 Despite Derocher’s focus on Svalbard bears, in 2004 Aars and colleagues (2009) found about three times as many Barents Sea polar bears lived around Franz Josef Land as around Svalbard, which is not surprising given that this is excellent polar bear habitat. “Franz Josef Land is significantly colder than Spitsbergen, which experiences 8 °C (14 °F) warmer winter averages, but is warmer than the Canadian Arctic Archipelago.” (Wikipedia, citing Barr 1995). The waters around the Franz Josef Land islands are highly productive (Chernova et al. 2014) and the Atlantic and polar cod that dominate the fish fauna make it excellent habitat for several Arctic seals that are prey for polar bears, including harp, bearded and ringed seals. A National Geographic expedition to the islands in July and August 2013 generated some remarkable film footage of walrus, polar bears and the impressive landscape, see some of them here and here. “Franz Josef Land is an archipelago of 6 main islands and about 135 small islands, with a total landmass of about 16,134 square kilometers (6,229 square miles). The terrain is primarily elevated table lands and low hills, with the highest point rising to 620 m (2034 feet). In recent years fall and early winter ice levels have been quite variable around Svalbard and some years pregnant females that did not spent the summer there would have been unable to make dens there because sea ice did not return early enough in the fall (as in 2007, 2012, 2013, 2016). However, Franz Josef Land has had ice almost year round in all but a few years. With a few exceptions, there has been some ice around this archipelago even in September and ice enough for any polar bear females that had spent the summer hunting on the pack ice to reach the islands in early fall without difficulty (see 2017, above and Norwegian Ice Service archive here for other years or time periods). In extremely low ice years (e.g. 2007, and 2012 see below), Franz Josef Land was ice-free from early summer to mid-fall, leaving pregnant bears to either spend the summer onshore (as happens routinely in Hudson Bay and Svalbard) or on the retreating pack ice over the Arctic Basin (as do most Southern Beaufort and Chukchi Sea bears). However, even in 2012 enough of the pack had returned to Franz Josef by mid-November to allow pregnant Barents Sea females still on the ice to make landfall and den up for birthing (which usually occurs in late December). While this is later in the season than might be ideal, it clearly was good enough or numbers would have dropped precipitously. Not only had Svalbard bear numbers not declined by 2015 (Aars et al. 2017) but bears that spent the summer around Svalbard were in excellent condition. Derocher claims a 500 km trip is a ridiculous proposition for a polar bear with cubs, which is nonsense. Bears with one or two year old cubs have been found to make journeys of that magnitude without trouble (Pagano et al. 2012; Pilfold et al. 2016). That said, long distance swims are not even necessary for the majority of Svalbard females to take advantage of habitat in Franz Josef Land. If pregnant bears are on the ice hunting over the summer (so-called ‘pelagic’ bears) and lack of ice development to the southwest prevents them from getting to Svalbard in the fall, they can walk to Franz Josef over the sea ice. The evidence suggests that in poor ice years most Svalbard polar bears abandon Svalbard entirely as a summer refuge and females rarely den there in poor ice years. Only a few hundred Svalbard polar bears seem dedicated to staying close to Svalbard over the summer (Aars et al. 2017) and few of those remain determined to make their dens on east coast islands in poor ice years (see below, from Norwegian Polar Institute website, 9 Jan 2018). As per the quote above, in evolutionary terms, if polar bear females that prefer to den on Svalbard do not adapt to low fall sea ice conditions by denning elsewhere, they are of no use to the survival of the species over time. During low ice decades, females loyal to Svalbard will produce fewer offspring than those that shift to Franz Josef, which means eventually there will be many more bears that are flexible about where to make a den and fewer, if any, that are inflexible. The conclusion that Franz Josef Land must be an important refuge habitat for Barents Sea polar bears when Svalbard ice is lacking is shared by a number of consensus polar bear experts that have studied Barents Sea bears. “Further east” would be towards Russia, to the islands of Franz Josef Land (Wiig 1998). “…colder areas in the Russian Arctic” would almost certainly be Franz Josef Land — why they don’t come out and say so is perplexing, as Franz Josef Land is considered within the Barents Sea subpopulation region by definition. “The bears in the Pack Ice should be assessed as a part of a Russian–Norwegian pelagic Barents Sea ecotype. The reproductive barrier between the two ecotypes has until recently been low (Zeyl et al. 2010). However, pelagic bears visiting Svalbard typically den in the eastern parts of the archipelago, and in years with late sea-ice freeze-up in these areas, none or few females reach the islands for winter maternity denning (Derocher et al. 2011; Aars 2013). Figure 1 from Aars et al. 2017. Locations of polar bears found during August 2015 survey, after a good ice year when bears were able to den in traditional areas on Svalbard. In poor ice years, few bears would have been found, the majority spending the summer north on the pack ice. Since almost 3 times as many polar bears live in the Russian area of the Barent Sea around Franz Josef Land as near Svalbard (Aars et al. 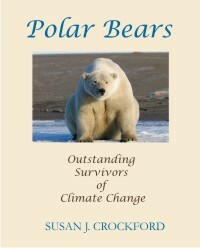 2009), it suggests that the 2015 total for the subpopulation may number close to 3,800, up from about 3,000 in 2004 (Crockford 2017), albeit with a rather large potential error range (which would make the Svalbard-loyal bears less than 10% or so of the total). While approximately 3,800 bears is not the official population size cited by Aars and colleagues or the PBSG and thus remains speculative, it seems unreasonable to assume that abundance of bears in the Russian portion of the Barents Sea would not have risen at least as much as the Norwegian portion, given that productivity of Franz Josef Land is high and sea ice conditions have been generally fairly good. Indeed, a continued population recovery has been anticipated by scientists in the region (Fauchald et al. 2014) after the massive overhunting that went on in this region in the early three-quarters of the 20th century (Andersen and Aars 2016), poor ice conditions around Svalbard notwithstanding. This entry was posted in Life History, Population, Sea ice habitat and tagged abundance, Arctic islands, Barents Sea, den habitat, estimates, Franz Josef Land, Norway, polar bears, pregnant, Russia, sea ice, Svalbard. Bookmark the permalink.